Mount Unzen lies in a highly volcanic area which has seen eruptions occurring for the last 2 million years or so. The area around the mountain has formed into no less than four domes over the lifespan, and saw its worst (from a death-toll point of view) eruption striking in 1792. 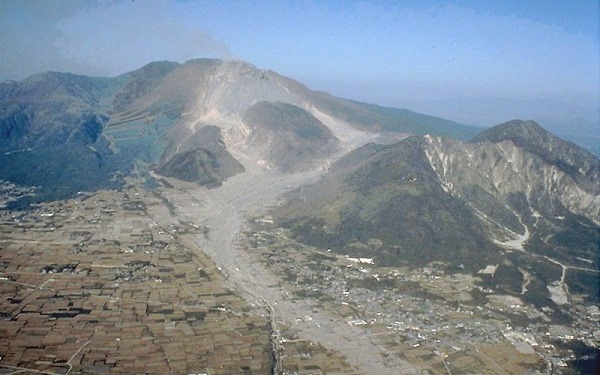 The volcano was actually initiated by an earthquake which started on the western flank of the mountain, slowly moving towards the active dome, known as Fugen-Dake. The seismic activity caused the volcano to erupt and the lava flowed for some two months. The earthquake continued to move westward and eventually caused the eastern flank of the mountain to collapse. 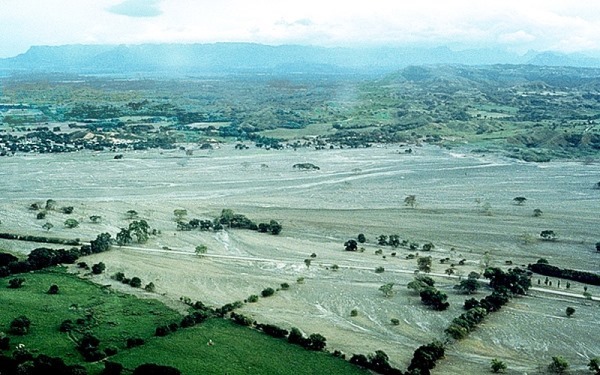 The immense volume of earth moved in the landslide caused a tsunami when it hit the sea. Totting up the fatalities afterwards, it is estimated that some 5,000 people died in the landslide; another 5,000 were killed when the tsunami rushed AWAY from the area and the final 5,000 were taken when the wave ‘bounced’ back to its starting point. This is perhaps one of the best known of all historic volcanic eruptions: the towns of Pompeii and Herculaneum were completely covered and preserved by the ash cloud. 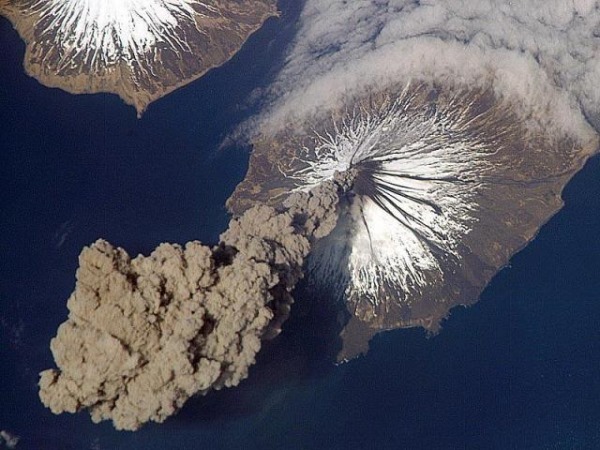 Apart from the sad remains of men, women and children, not to mention loyal pets, we know a fair amount about the eruption as it was witnessed by Pliny the Younger, a Roman administrator and poet. The volcano gave reasonable warning of its intent to erupt with a series of ever more intense tremors occurring; sadly these were ignored by the general population as small earthquakes were considered to be just part of life in those days. The eruption of Vesuvius was intense and strong, lasting for two days and forming a relatively rare, but inescapable flow of super-heated gas and ash known as a pyroclastic flow. If Vesuvius were to erupt today the some 3 million people living in the shadow of the mountain would be in severe danger from the ash and lava, but also from the possibility of a large landslide and accompanying tsunami: a prospect that has seen the government beginning to encourage people to move away from the ‘red’ zone with cash incentives as well as putting into place a series of evacuation processes ready for the day when Vesuvius begins to rumble in earnest once more. The Nevado Del Ruiz does not look like much of a threat to live and limb and yet this smallish snow-covered peak erupted explosively on November 13th in 1985, blasting some 30 kilometres into the air. Despite this show of might, the eruption was actually a relatively small one, but the heat of the lava and ash caused a lot of the nearby snow to melt, almost instantaneously, especially when the water of a nearby lake was included in the flow: the water was very salty, a factor which caused the snow to melt even faster. This sudden abundance of fluid on the flanks of the mountain could only go in one direction: down; and this it did with enthusiasm, forming four thick and fast-flowing lahars (rivers of ash, mud and volcanic debris that flow over the land, taking out everything in their paths). These four lahars flowed down the mountain and into the river valleys below, swelling the rivers to unrecognisable proportions and growing ever larger as they went. These massive bodies of water and mud travelled at around 60 kilometres per hour and, when they passed through towns and villages they simply took down all he houses and people that they encountered; being responsible for the deaths attributed to the volcano. Mount Pelée(Montagne Pelee in French, which translates to Bald Mountain) stands on the small island of Martinique, which is in the island arc of the Lesser Antilles in the Caribbean: an area known for frequent volcanic and seismic activity. The 1902 eruption seemed to take place fairly slowly, starting about a week before the main eruptions with tremors, and continuing for over two weeks until the main eruption occurred. With all that notice, one would be forgiven for assuming that everyone would have fled the area long before the main event, but this was not the case. Some people refused to leave their homes, farms, animals and possessions, while others left for a day or two, but returned again when little happened with the volcano. When the main eruption did happen (one eye-witness described the eruption thus: ‘The mountain was blown to pieces, there was no warning.’), the people left in the main town of Saint-Pierre were killed by an extremely fast moving, and very hot, pyroclastic flow that streamed down the mountain in mere minutes. Krakatoa signalled the beginning of its eruption in the years preceding the big eruption. 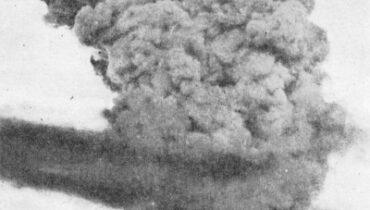 In May 1883 the volcano seemed to display greater intent of erupting with ever-more intense tremors, small eruptions and huge plumes of gas. On the 27th of August the island erupted violently in a series of four explosions. So intense and violent was the eruption that the shockwave travelled all the way around the planet, not once or twice, but seven times and was heard as far away as Australia and the island of Rodrigues (near Mauritius): a distance of some 3,000 miles. 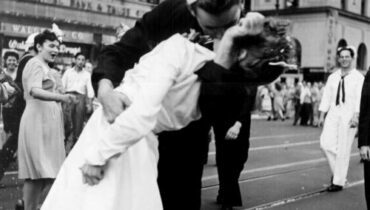 The sheer violence of the eruption had knock-on consequences all over the world, causing floods and famines near and far. While the official and immediate death toll has been pegged at 36,000 experts say that as many as some 120,000 people may, in fact, have died as a result of the volcano. 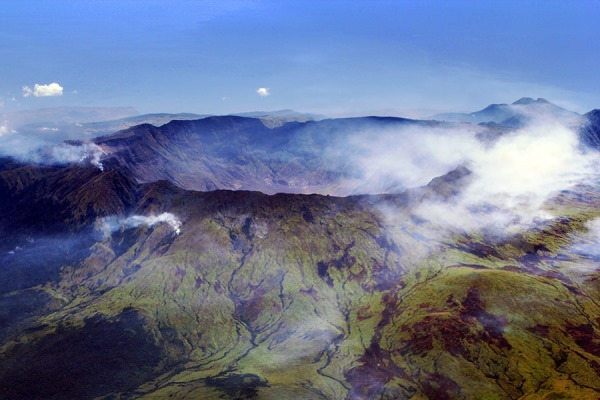 Mt Tambora’s explosive eruption is one of the most powerful ever recorded and had a dreadful impact all around the world, affecting global weather and causing the following year, 1816, to be known as ‘The Year Without a Summer’. 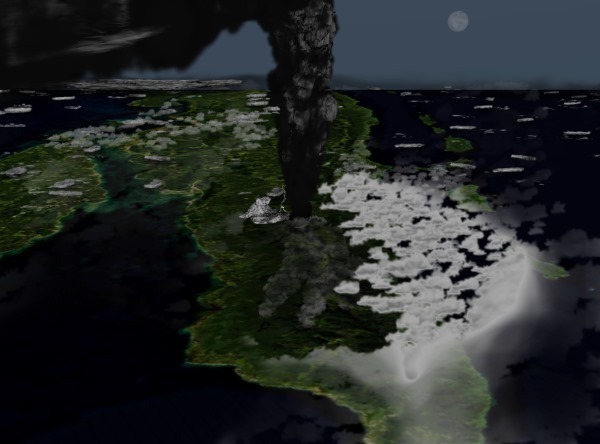 The eruption caused tsunamis in the surrounding areas and ash fall ruined crops on nearby farms. Many of the deaths attributed to the volcano were secondary, caused by starvation or drowning, rather than by direct contact with ash and lava. It is interesting to note that a small group of arty types were kept indoors in 1816, by unseasonal rain caused by the high levels of ash and volcanic gases in the atmosphere, on their Swiss holiday. To stave off boredom, they all challenged each other to write the best short story or poem. The wife of one of the poets present produced a gruesome tale called Frankenstein, while another of the poets wrote ‘A Fragment’ that later inspired the story of Dracula; Mary Shelley and Lord Bryon respectively might never have produced these important works had it not been for the volcano all those miles away. Volcanic debris in the air was responsible for some amazing technicolour sunsets in London, many of which have been immortalised in the work of Turner, the artist. This immense volcano gave plenty of warning of its intent to erupt, and the population heeded this warning, hastily preparing sacrifices of young girls, pets and flowers to appease the turbulent volcano. It seemed as though the sacrifice was rejected almost immediately as the volcano belched out hot gases, even during the ceremony. A few days later the main eruption occurred and the nearby land was subject to fiery pyroclastic flows, swift-moving lahars and over 10 inches of ash-fall. Eruptions continued for the next month or so, and more than ten villages were entirely covered with ash. While only some 1,500 people died from the immediate fall-out of the volcano, Russia suffered its coldest year in six centuries the following year, which led to a famine that killed off huge numbers of the population. 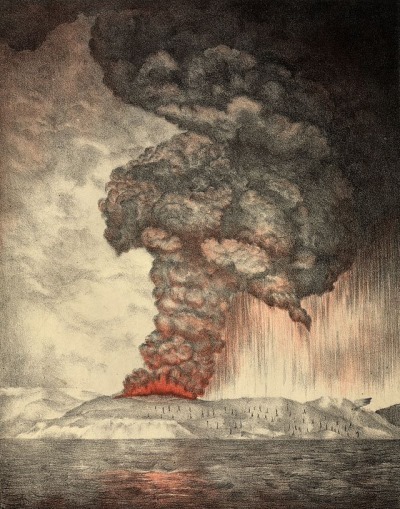 This eruption occurred before reliable record-taking was introduced, but seems to have inspired a number of Greek myths and legends, including the loss of the Minoans and the fall of Atlantis. The effects of the volcano were, according to local legends, felt as far afield as Egypt and China. Even the Christian Bible mentions events like plagues and disasters that can be attributed to the effects of far-off volcanic activity in Exodus. 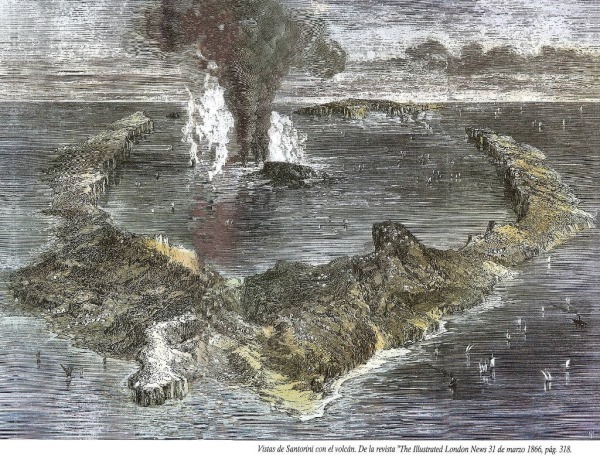 A series of earlier eruptions resulted in the unique shape of the island nation, one fairly accurately described in Plato’s writings about Atlantis. Little is known of the specifics of the eruption but it seems to have been a violent explosion, falling into the top category of the Volcanic Explosivity Index. The landscape shows signs of four successive periods of ash fall, but little else can be proven at this great remove from the eruption. Iceland is known for being the land of ice and fire, and this was never made clearer than in 1783 when a fissure containing some 130 craters opened up; the result of boiling magma coming into contact with the ice cold groundwater with explosive consequences. Over the next few days the volcano changed, becoming less explosive and streaming liquid lava instead (more like the Hawaiian volcanoes). 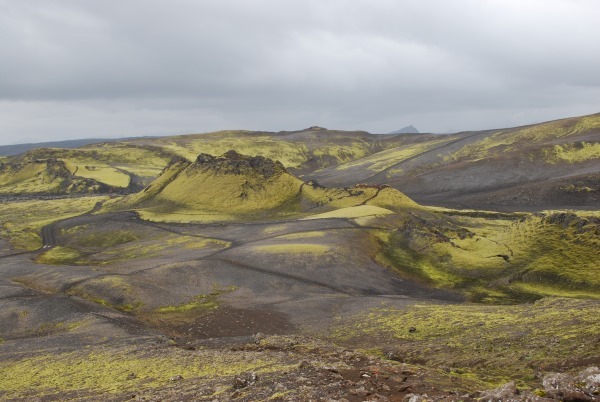 Few people (relatively speaking) were killed in the immediate aftermath of the eruption, with famine and poisoning from the harsh wind-borne gases and ash killing an inordinate amount of people who were unlucky enough to live in the lee of the volcano.